Natalie was working as a Lay Assistant, she had a contract for a year which she could extend to a second year if she wished. As the time approached for her to decide people in the church began to ask if Natalie would be extending to a second year. But, in the North we use the word ‘stopping’ as a synonym for ‘staying’. It would be very normal, for example when asking a Northerner what they are doing this evening, to hear the answer ‘I’m stopping in’, that is they are staying at home. I’m sure now you can see the slightly amusing conversation which developed. Natalie was asked by a parishioner if at the end of her first year she would be stopping. Natalie, who was very keen to stay on, having met a very handsome potential vicar, replied ‘no’, she would not be stopping. The parishioner was horrified, having rather hoped that Natalie would stay, or rather stop, for another year. Confusion reigned because of the different understanding of the meaning of the word ‘stopping’. Something like that is happening in our Gospel reading today. In the verses before those read today, Peter has rightly identified Jesus as Messsiah. But in today’s reading, we find that Peter has a very different definition of what Messiah means, to Jesus’ definition of himself. Peter imagines that a Messiah – what we today we might call a king – was one who by his mighty strength, and war-like abilities, would defeat the occupying Romans, re-establishing the kingdom of Israel, and rule the kingdom under God. Jesus, however, has a very different understanding of his role. The Jewish people had come to expect that the Messiah would be such a warrior-king. As a result the Romans had to keep putting down revolutionary movements, by would-be Messiahs. And yet too often, far too often, this is what we imagine God’s kingdom is like. A king which, for all that strangeness of the cross, will return to judge the world, with an army in tow, to trample down His enemies and set up a kingdom, just like the kingdoms we see all around us, just a little bit better!! But Jesus’ vision for His kingdom, His expectations, turn our world, and the world of his disciples upside down, or rather turn them the right way up. St Francis had caught the spirit of what Jesus meant, which is why he stood on his hands to witness to the world, through this adopting of this absurd position that that what was really absurd was our acceptance of a hierarchical and unjust society. So Jesus shows the disciples, and us how a true King lives, and it is the exact polar opposite of how we think a king should act. Jesus’ vision is of a world where kings are servants, where those who would lead lead by serving those around them, including the beggars on the street. In fact, His kingdom is one in which all are servants, where all serve all, in the name of their servant king Jesus. For the king we are called to worship begins by washing his disciples feet, and climaxes in his dying on a cross. For in the ‘real’ world, that is Jesus’ world, the cross is not the shocking failure it is so often viewed as. 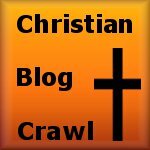 Even Christians get the cross wrong, imagining it to be a tactical withdrawal, a necessary step – a Trojan Horse if you like – on the road to a more glorious victory. 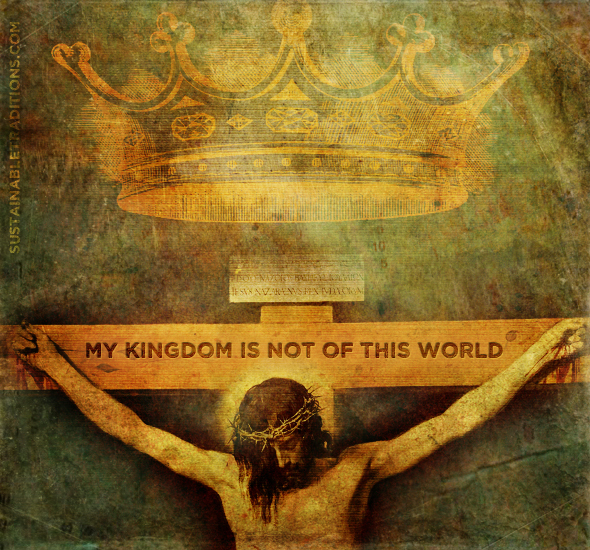 No Jesus is never more the king he really is, than when seated on the cross. The cross itself is the victory, not the preamble to the real victory. For Jesus secures victory, not by the blood of his enemies, but rather, by His blood shed on the cross. Here a clear choice is offered, between self-preservation at all costs, and the risky business of following Jesus. What Jesus highlights for us here, is that the self which is protected by the so called ‘safe’ option of self-preservation, is a self which is not worth protecting. For before the disciple is dead, those who have chosen self-preservation, have long since died, even if their bodies continue to breathe. And whilst physical death may a very realistic possibility for the true disciple there remains for him or her, the fact of life beyond the grave. Life as we have never yet known it, a life of abudance in every way, a life which will put this earthly life to shame, and in which no disciple will ever find themselves wishing they had opted for self-preservation. Run, hop, skip, or dance, just don’t tiptoe. We must not seek to climb to the top, for Jesus is at the bottom. If we would follow him, if we would be where he is, it must be by kneeling to help the least, and in kneeling find there to our astonishment the kingdom of God. No wonder Jesus gave us the Eucharist as the way to remember Him. He knew we are naturally like Peter, and all too soon, revert to the topsy-turvy view of the world. Jesus knew that we needed to be reminded of his death, the point at which we think He reached his lowest, to be reminded that in fact it was there that He found victory. This is the God-given corrective, along with the stories of His life which we hear every week, which will only end when He returns. Then, we will see the folly of this world of those who scrabble to the top seeking their own comfort, status and self-preservation. Then we will see the wisdom of the holy fools, those who scrabble to the bottom, who stood on their hands to see the world the right way up, who gave their life for their King and are now given it back in abundance.